Save Grocery $$ with This Secret Ingredient! I came out of the grocery store yesterday in shock-3 little bags holding next to nothing and the cost was almost $25. 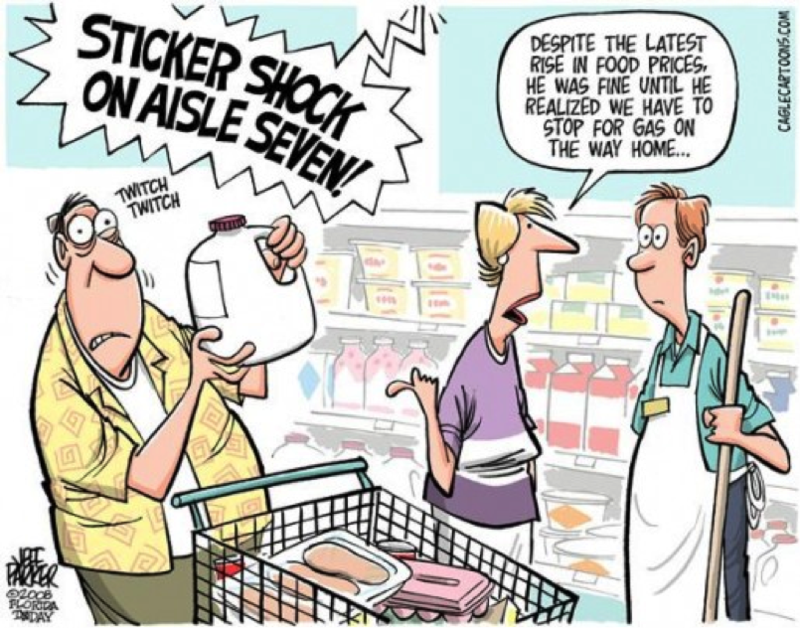 I know I'm not alone in grocery shopping shock. For those of us living on fixed incomes (and there are millions of us), the high cost of groceries is cause for real concern: The fellas in the produce department told me the days of affordable food are all but over thanks to wide spread drought, high energy costs of shipping food, etc. So with this reality in mind I've decided to return to a practice from my days of cooking for 9 people (I have 7 children). Using a certain secret ingredient saved me loads of grocery $$ and I'm going to share this secret ingredient with you. It's called the "extender," an ingredient added to cooked food to extend or expand the quantity of food being served. For us it was wheat-cooked cracked wheat mush, to be precise. This food has next to no flavor and when mixed with cooked ground beef, ground turkey, or ground sausage, it takes on the flavor of the meat and even the texture of the meat-you can't tell it's mixed in. I could serve a family of 9 on a ½ pound of ground beef. Tacos for 9, sloppy Joes for 9, hamburger soup for 9, hamburger casseroles for 9-all from ½ pound of ground beef because I mixed in 2 or 3 cups of cooked cracked wheat mush. In a separate pan I'd brown the ground beef and drain the fat. Then I'd add the cracked wheat and other ingredients and mix well. Bingo-more meat and nobody knew the difference, and never did know until I confessed to this subterfuge a few years ago! I got the idea of extending my ground meat when I remembered my first job at Taco Time on Sprague Avenue in the Spokane Valley. My boss had me "extend" the commercial-sized pot of taco meat I was cooking with 8 cups of rolled oats! Who knew? Certainly not the customers. And for those of you with gluten issues, you can still pull this trick off. Think Taco Time and cooked oats as well as cooked quinoa. 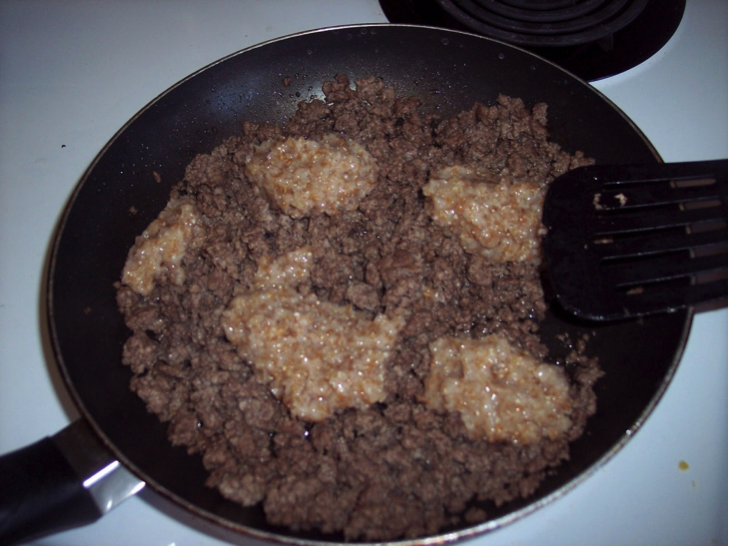 The general rule of thumb is to start out small-a ratio of ½ to 2 will work-1/2 pound ground meat to 2 cups of cooked mush. Once the tomato sauce and seasonings are mixed in, nobody knows the difference. From there you can gradually increase the amount of cooked mush, depending on how many people you need to feed. 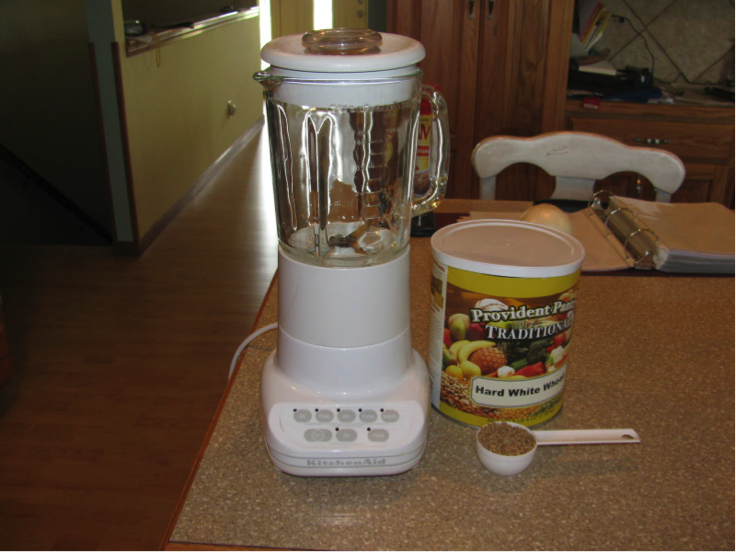 While you can purchase cracked wheat in the grocery store, it's less expensive to crack your own wheat in your blender. The ratio of cracked wheat to water is 4 cups water to 2 ½ cups cracked wheat. You can add a dash of salt of you like, but generally the dish you're adding the cooked mush to will already have plenty of salt. 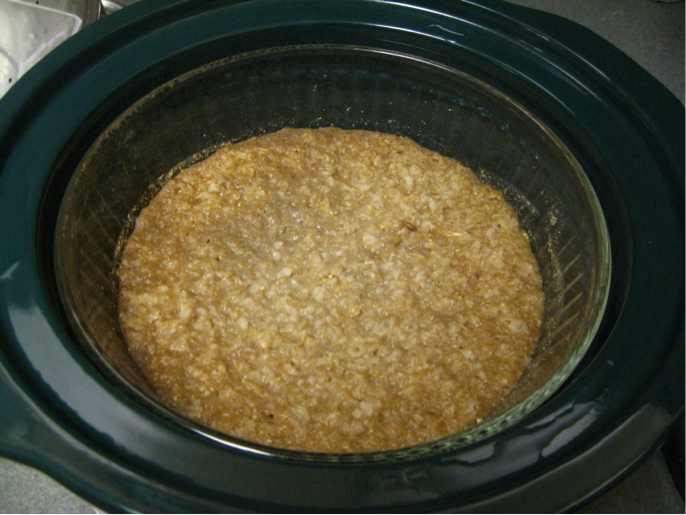 Finally, to make things especially easy, I would cook up several cups-worth of cracked wheat in my crock pot overnight so that I'd always have a supply in the fridge. Another beautiful part of this cooking approach is that you're also adding fiber to a fiberless food-meat has no fiber-so adding a grain to the recipe does the body good. And of course, along with the fiber you're also adding vitamins and minerals. So if you're struggling with grocery shopping shock like me, the take a serious look at "extending" ground meat dishes with grains. This cooking technique can save lots of money over the long haul and add a health boost to boot!